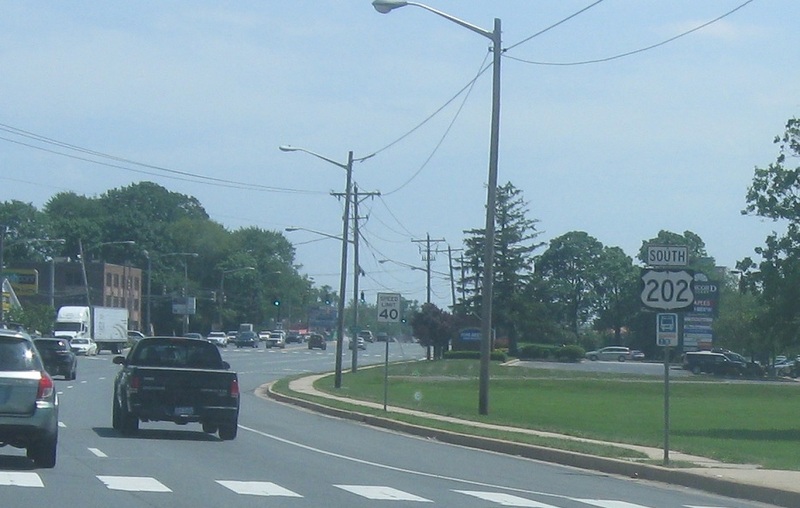 Reassurance shield after the DE 92 junction. A mile or so later, we’ll approach Delawares 141 and 261. 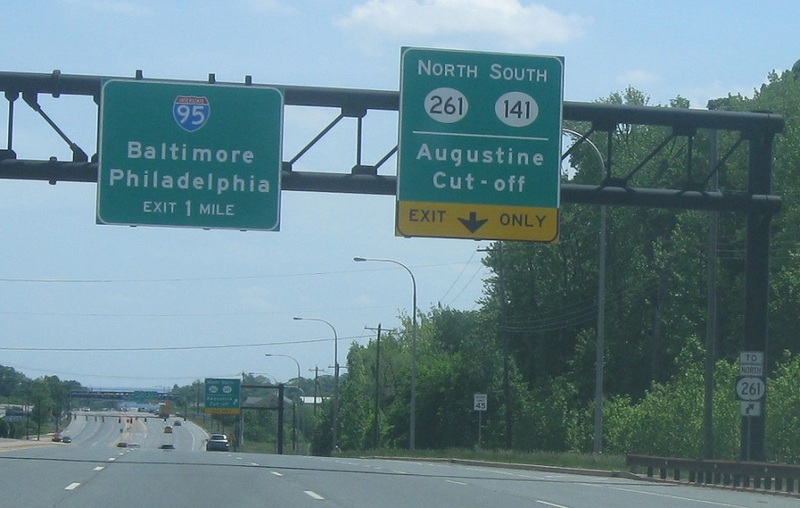 Exit for DE 261 north via DE 141 south. 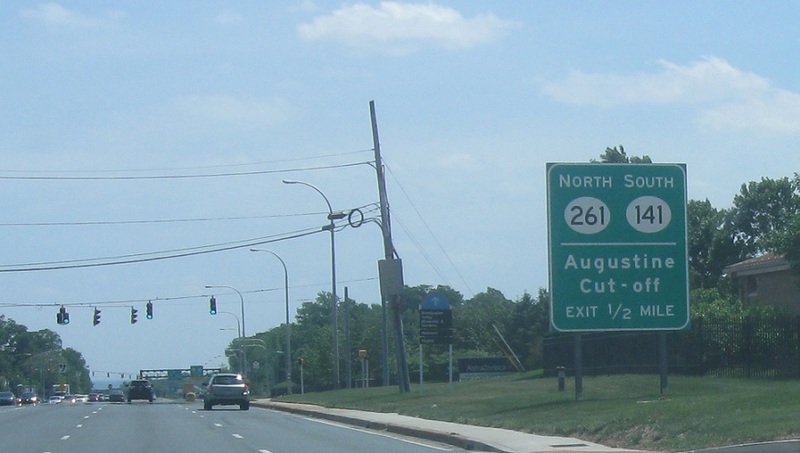 US-202 will approach I-95 in one mile. 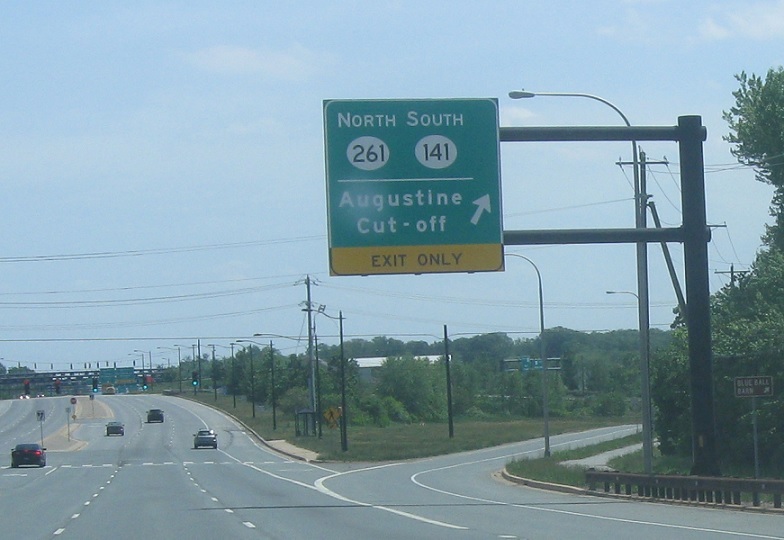 Exit for 261 north and 141 south.